This delicate necklace makes a stylish plus one to your next social event. 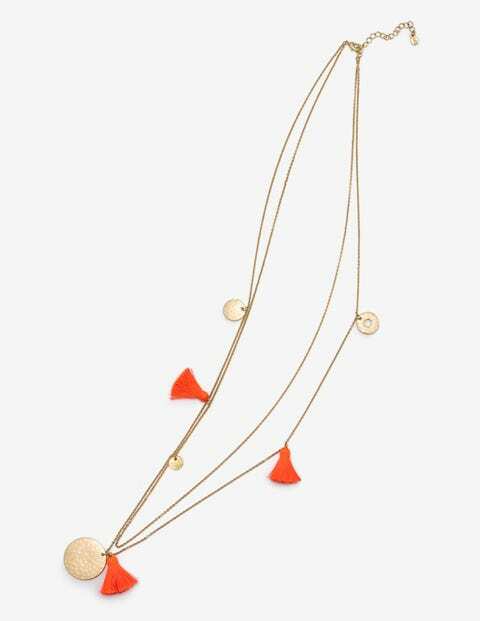 Brightly coloured tassels sit alongside Grecian-style hammered discs on a two-tiered chain. Layer it over a plain top to let it stand out. The tassels on the Watermelon Punch (PNK) option are neon. The tassels on the Watermelon Punch (PNK) option are neon.